Call it trickle-down eggconomics. Or, don't. Omelets, breakfast sandwiches, and your other favorite egg-based dishes may start to cost more or even disappear from menus entirely thanks to a massive egg shortage. An outbreak of Avian flu wiped out millions of chickens this spring, thus, wiping out a lot of eggs, too. The "crisis" has left restaurants scrambling to source enough eggs, and has even forced some to stop serving particularly egg-centric items, according to an alarming report by the Associated Press. And since there's no such thing as a free brunch, the scarcity has sent the price of a dozen Midwest large eggs up by 120% to $2.62 as of late last month. Some restaurants are cracking under the increased costs, relaying the eggpocalypse prices to patrons. 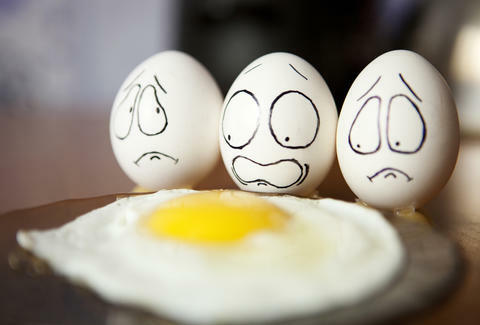 Even the egg counters over at the US Department of Agriculture have lowered the egg forecast for the year to 6.9 billion dozen, or 5.3% less than last year. And worse yet, officials said it could take up to two years to return to normal, according to the report. On the sunny side, it appears that smaller, local egg producers haven’t been as severely impacted. Begin hoarding eggs now. Or at least adjust your weekend dining plans accordingly. Tony Merevick is Cities News Editor at Thrillist and has nightmares about a brunch-less future. Send news tips to news@thrillist.com and follow him on Twitter @tonymerevick.